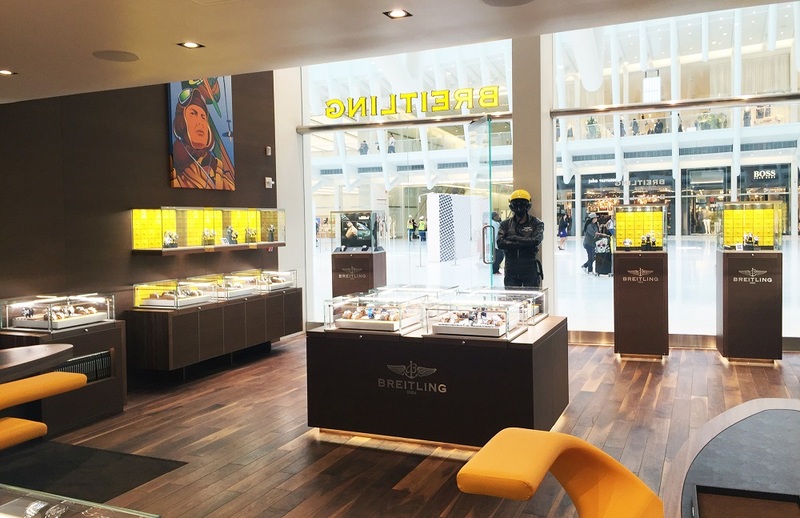 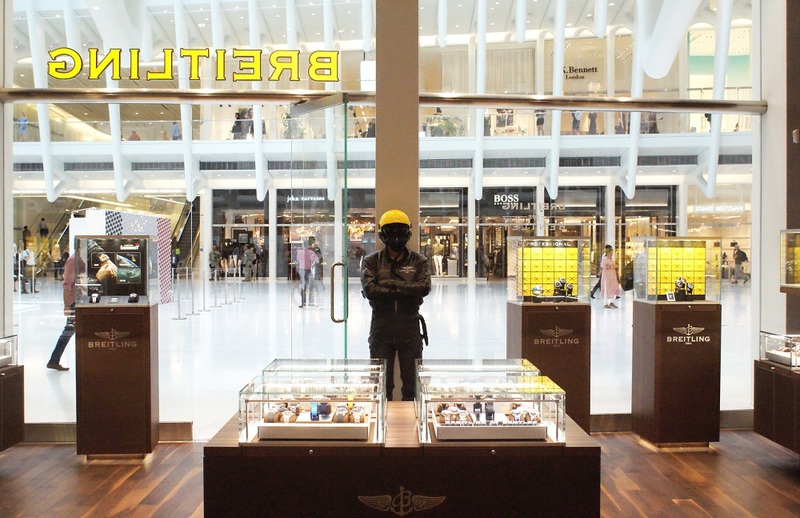 Chronograph supplier to the aviation industry, Swiss watchmaker Breitling’s 800 SF location at Westfield World Trade Center is a warm and intimate affair finished primarily in walnut. 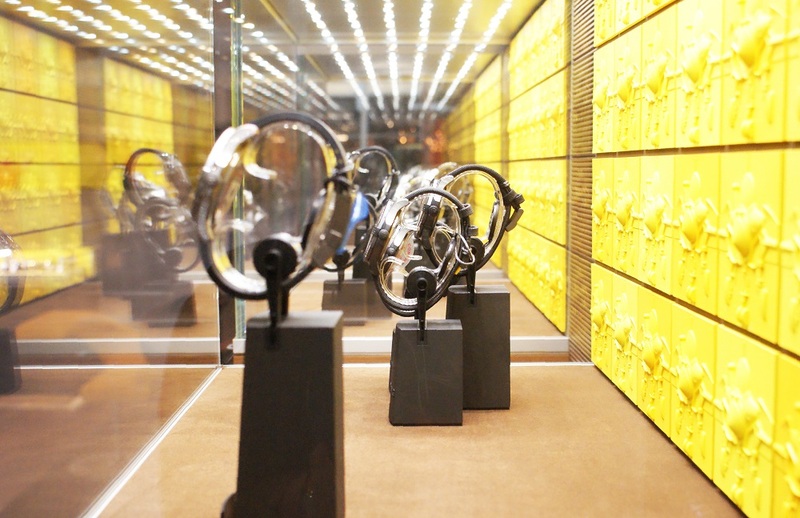 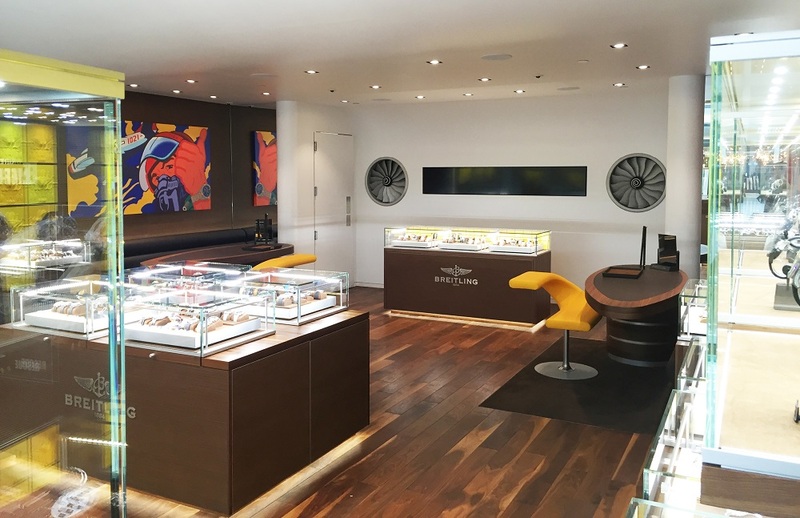 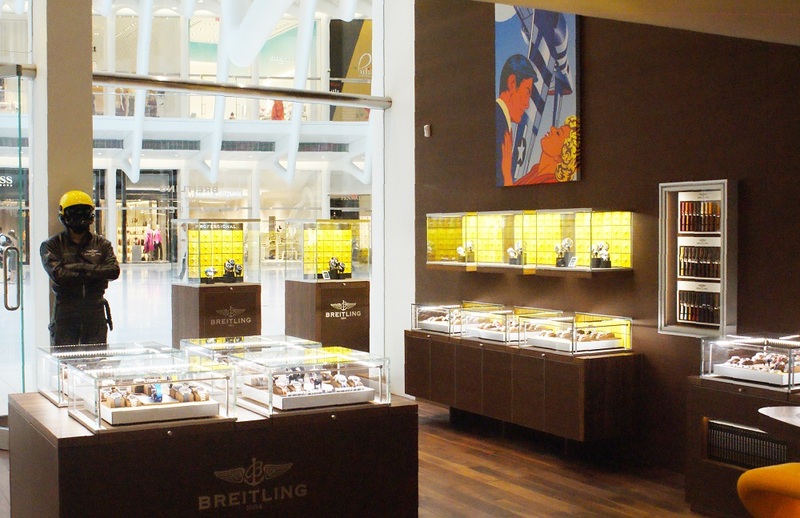 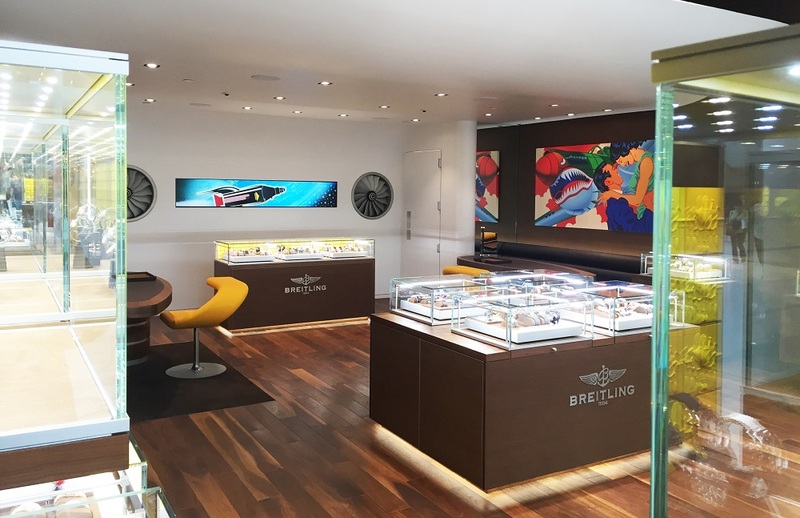 Wood fixtures hold glass display cases that bring a pop of Breitling’s distinctive shade of yellow to the interior. 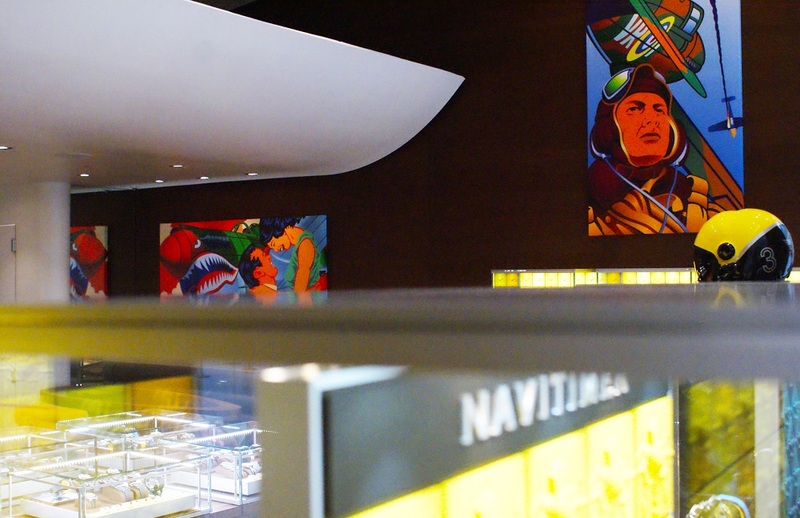 In addition, the space is decorated with design elements such as a rotating pair of engine fans, pop-art inspired paintings, a life size sculpture of a pilot, and modern furnishings. 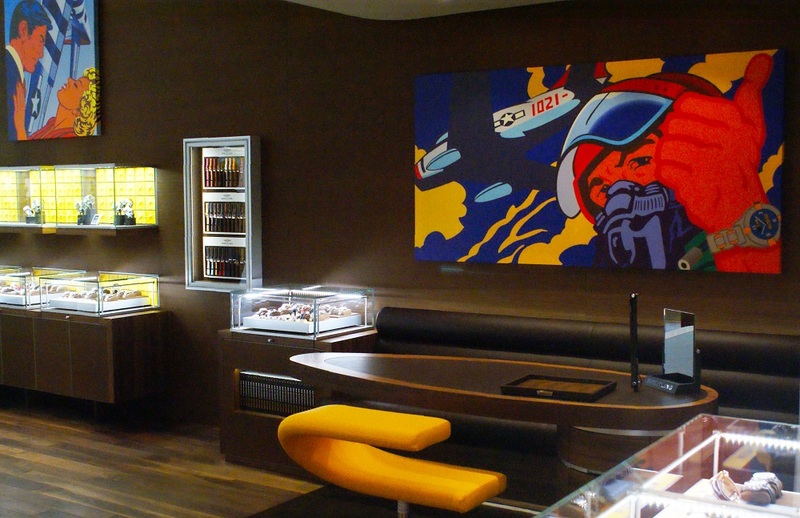 KPA provided AOR services for this location.